The blooming Android tablet scenario has managed to turn many heads. 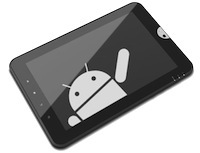 With the launch of the Nexus 7 and the Nexus 10, Google is taking this market as seriously as Apple does. Though the iPad is still the king of the castle, the Droids are rising slowly against the Cupertino monopoly. What makes Nexus tablets so special is that they offer the same amount of value as the iPad does. The very fact that these tablets come loaded with the latest operating system and apps make them even more competitive. Features like Google Now, panoramic camera, excellent graphics and more put Android tablets head-to-head against Apple’s iPads and Kindle Fire HD. That said, when compared to iPad, Google’s slick new tablets fall short in the apps department. On Apple’s iTunes store, you’ll find a huge amount of apps that are specially designed for the iPad; however, on the Play Store, you’ll find very few apps that fit well with the tablet form factor. Don’t worry though. If you have just bought a new Android tablet, we won’t let you be disappointed. We have a list of some of the best and good-looking Android apps out there that are specially designed for tablets. 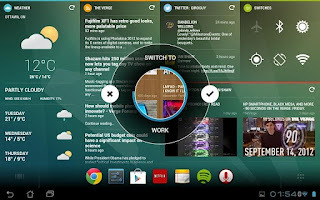 Chameleon Launcher is a launcher that is specially designed for tablets. Providing users with a context-specific user interface, the application gives you an interactive home screen that puts your favorite activities in the forefront. The app also lets you create context rules based on your GPS locations, Wi-Fi connectivity, and more. Overall, the app gives your tablet a more interactive feel. One of the most revered productivity services also works great on tablets. Evernote, once installed, lets you collect information about almost everything then store and organize them on the cloud. Fans of the service store most of their life’s important documents on it making it an indispensable part of the productivity toolset. Flipboard is an amazing social magazine that lets you ‘flip’ through the latest news. Intelligently gathering the latest scoop from various sources including your social media feeds, the free app keeps you hooked with all the information you need. The app has been rated very highly by iOS and Android users alike, making it one of the most popular apps out there. Google Currents is Google’s answer to Flipboard. The app lets you browse news and other content in a stylish-yet-personal UI. The best part about this app is that it integrates tightly with your Google account thus letting you keep your reading history and bookmarks on the cloud. 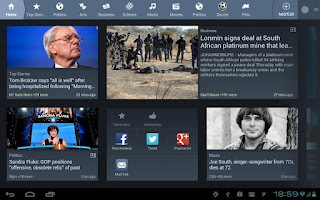 Apart from letting you browse and buy magazines, Google Currents also helps you keep track of the latest trends and breaking news. 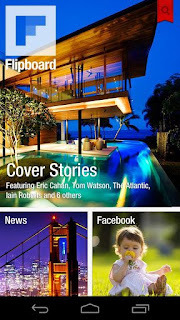 Google Currents, when compared to other magazine apps, stands out due to its adaptability towards all sizes of devices. So, even if you’re using a Nexus 7 or a Nexus 10, Google Currents will work perfectly with either of these devices. And yeah, it’s totally free! Drawing Pad lets you create your own masterpiece using crayons, colored pencils, roller pens and more. 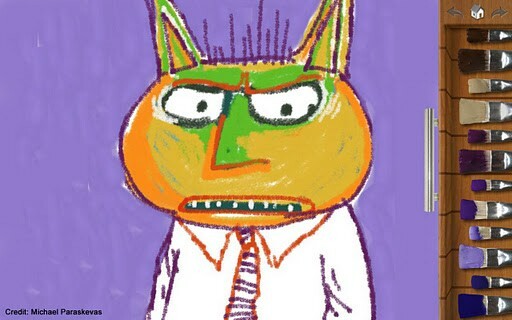 One of the best drawing apps out there, Drawing Pad works perfectly well with a tablet and is incredibly simple to use. 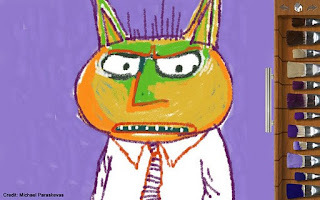 Doesn’t matter if you’re bad at drawing, this app will let you express your creativity and share it with friends on favorite social networks. This tablet edition of the popular News360 app lets you browse the latest news in a clean tiled interface. News360, once installed, can be personalized and then can be synchronized with the cloud. Picking up news from more than 30,000 sources, News360 serves as a great alternative to the almost-obsolete newspaper.